Original Editors - Chase Almgren from Bellarmine University's Pathophysiology of Complex Patient Problems project. Heavy metal toxicity is a generic term for an above average level of metal in the blood which may result in undesirable side-effects. 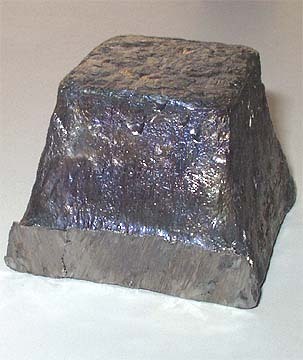 Many heavy metals are necessary for life, but may become toxic in large amounts. Authors argue what constitues a "heavy metal," but it's commonly referred to as any metal which could potentially cause human or environmental harm. Common heavy metal toxicities humans are exposed to are lead, arsenic, mercury, aluminum, iron and cadmium. Young children should be especially careful around lead based products as the minimal level to declare lead toxicity (10mg/dl) is smaller than that for adults(24mg/dl). Since the blood-brain barrier is unformed in infants, lead readily diffuses across. Children and infants are commonly exposed to lead particles during floor activities, and through the hand-to-mouth stages of development. Risk factors which may predispose children to lead toxicity are (1) under age 6 (2) low income and (3)urban dwelling. 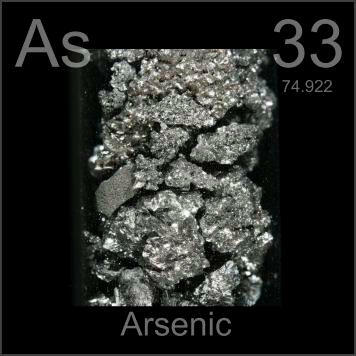 Arsenic exposure may come from glass infiltrates, pesticides, wood preservatives, paints and during the process of smelting copper zinc, and lead. The prevalence of lead toxicity has been rated as high as 5.6% in a clinical study of 1 to 3 year olds. Prevalence rates of mercury and arsenic were unable to be found. Characteristics of heavy metal poisoning are vague as patients will present depending on the route and level of exposure. For instance, smaller levels of heavy metal exposure can cause minor irritations such as skin rashes and warts (arsenic), whereas large amounts may cause sudden death. Chelation therapy is commonly used to treat heavy metal poisoning. Chelating agents are introduced to the body orally, intravenously, transdermally, transdermally or by suppository. After binding to heavy metals, they are excreted from the body through urine. This medication is generally used for Wilson's disease (excess copper in the body), rheumatoid arthritis, and kidney stone prevention, but can also be used to treat heavy metal toxicity. The most accurate test for heavy metal poisoning is a chelation challenge test. This test involves a urinalysis over a 24 hour period after chelating agents are administered. The chelation challenge test can identify which heavy metals are present. A hair tissue mineral analysis (HTMA) may also be used to detect heavy metals. The HMTA scans tissues of the body which can identify heavy metal and mineral levels up to 2 to 3 months prior. The accuracy of these test isn't as reliable as the chelation challenge test or HTMA because they take a snapshot in time of what is in the body. Systemic involvement varies between heavy metals. Acute lead toxicity can cause gastrointestinal problems such as nausea, vomiting, loss of appetite, stomach cramps, and constipation. It can also cause sleeping problems, fatigue, mood changes, headache, joint/muscle aches, anemia, and a decreased sexual drive. Long term problems with lead exposure include nervous system, genitourinary system, and blood-forming system problems. Chronic exposure to lead can lead to death. Long term effects of arsenic exposure include gross pigmentation with hyperkeratinization, wart formation, dermatitis, vasospasticity, Raynaud's phenomenon, decreased nerve conduction velocity, lung cancer, conjunctivitis, peripheral neuropathies, encephalopathy, laryngitis, bronchitis, rhinitis, and death. 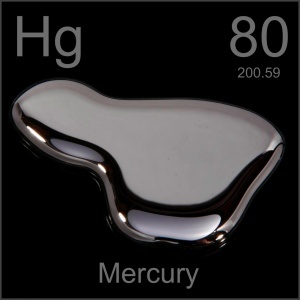 Short-term effects of mercury toxicity include lung damage, nausea, vomiting, diarrhea, hypertension, tachycardia, skin rashes, and eye irritation. With chronic exposure to mercury, the nervous system is susceptible to damage. Brain and kidney damage is common with high levels of mercury exposure. Other common systemic side-effects are irritability, shyness, tremors, vision and hearing problems, and memory deficits. Physical therapy has minimal effect on depleting heavy metals from the body. There is no current "best evidence" for the treatment of patients with heavy metal toxicity. Physical therapy is aimed towards management of side effects and associated co-morbidities of heavy metal toxicity. Have you worked with any hazardous materials lately? Follow up question: How long were you exposed to these materials? Where do you work? Are there any chemicals or metals which are regulated for saftey reasons at work? Is your living situation located near any factories, power plants, construction sites? Have you been near any of these lately? Have you had any changes in diet involving and increased amount of a certain type of food? Is there anything you've been exposed to which is out of the ordinary in the past 6 months? ↑ 2.0 2.1 2.2 2.3 Life Extension. Heavy Metal Toxicity. http://www.lef.org/protocols/prtcl-156.shtml. Accessed: March 31, 2011. ↑ 4.0 4.1 4.2 4.3 4.4 Even Better Health. Safe Detoxification for Heavy Metal Toxicity. http://www.evenbetterhealth.com/heavy-metal-poisoning.php. Accessed: April 4, 2011. ↑ American Heart Association. Chelation Therapy. http://www.americanheart.org/presenter.jhtml?identifier=4493. Accessed: April 4, 2011. ↑ Pubmed Health. Wilson’s Disease hepatolenticular degeneration. http://www.ncbi.nlm.nih.gov/pubmedhealth/PMH0001789/. Accessed: April 4, 2011. ↑ United States Department of Labor Occupational Safety and Health Administration. Safety and Health Topics Lead. http://www.osha.gov/SLTC/lead/. Accessed: April 4, 2011. ↑ Agency for toxic substances and disease registry. ToxFAQs for mercury. http://www.atsdr.cdc.gov/toxfaqs/TF.asp?id=113&tid=24. Accessed: April 4, 2011.